How many of you have bought a personal printer because of it’s small size and footprint only to discover the printer needs at least 10 more inches just because of the horizontal paper tray or output bin? Let’s face it, it’s the length of the paper used in printers which ultimately determines the space a printer occupies on your desk. The HP LaserJet 5L solves this problem by having the paper feed up instead of out, with 600 dpi resolution and print speeds up to four pages per minute. Introduced in 1995, the LaserJet 5L was the second generation of “L” series vertical-feed laser printers by Hewlett-Packard. 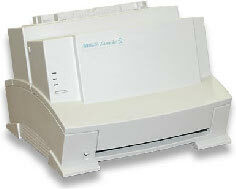 The small 13.2” x 12.3” footprint allows the LaserJet 5L to find a home any place where desk space is tight. The LaserJet 5L has a finer resolution than the 4L, while maintaining the 4 ppm print speed. The 600 x 600 dpi resolution produces sharp text and decent details on simple graphics. Photographs and higher resolution graphics will appear grainy but are suitable for publishing the community newsletter. 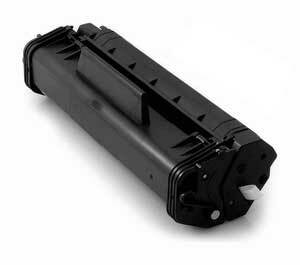 Like all LaserJets, the 5L comes with a Toner Save feature to conserve on toner. The LaserJet 5L can hold up to 150 legal-size sheets in its rearward input tray, with a 1-sheet “priority” slot for envelopes, transparencies, card stock, labels, sizes ranging from 3” x 5” postcard up to 8.5" x 14” legal size. The reason for HP calling the front slot “priority” is any paper, labels, or envelopes that are inserted will get printed on the next print job. This saves time from having to switch from the typical manual, hand-feed printing of other printers. For paper weight versatility the 5L gives you two paper feed output options. A simple flip of a switch on the printer changes feed direction from vertical to the more traditional horizontal printing for heavier paper, envelopes, and transparencies. The HP comes with only 1MB of memory, which is suitable for basic most home printing needs. A panel in the back allows for adding up to 8MB more of DRAM memory, to make it a great printer for printing student reports and research papers. The LaserJet 5L has the parallel connection typical of all non-network printers in 1995. While PC’s with a parallel interfaces have become few and far between, it’s always nice to free up a USB port if your computer still has a parallel port. After about three to five years the 5L will start developing a paper feed issue. Typical of most vertical-feeds during it’s time, the 2” pick-up roller band will either require cleaning or rotation. If you’re mechanically inclined, getting to the roller shouldn’t be a problem. For those who don’t like to disassemble things, usually keeping the feed tray full seems to bypass the feeder problem. While increasing the meager 1MB of memory is possible on the LaserJet 5L, finding the right memory is not. While you can find a 1GB DDR2 DIMM at any WalMart, finding any memory 8MB or less will be a challenge. Add the fact that the HP requires DRAM memory, and it can become an expensive challenge. 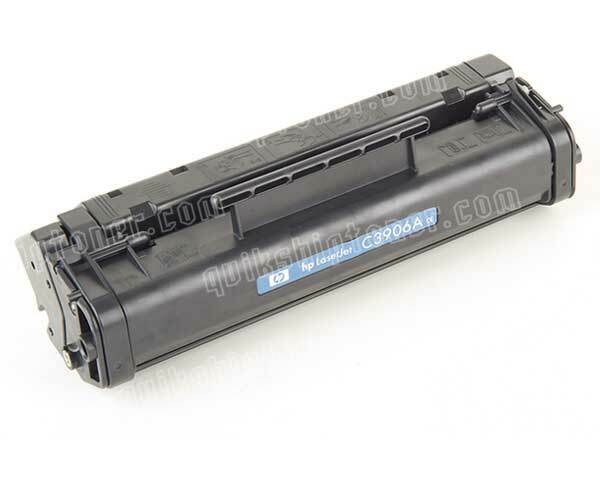 Review it: "HP LaserJet 5L "
The LaserJet 5L toner and drum are integrated in a single cartridge that’s accessible by flipping open the front panel, making it easy to maintain. A full standard cartridge will provide printing for about 2,500 sheets of paper (at 5% ink coverage per page—if you plan to do graphics or photos, expect that to yield to drop considerably. If your business intends to use this printer in Payroll--specifically for printing checks, a special 2,500-page Magnetic Ink Character Recognition (MICR) toner is available.